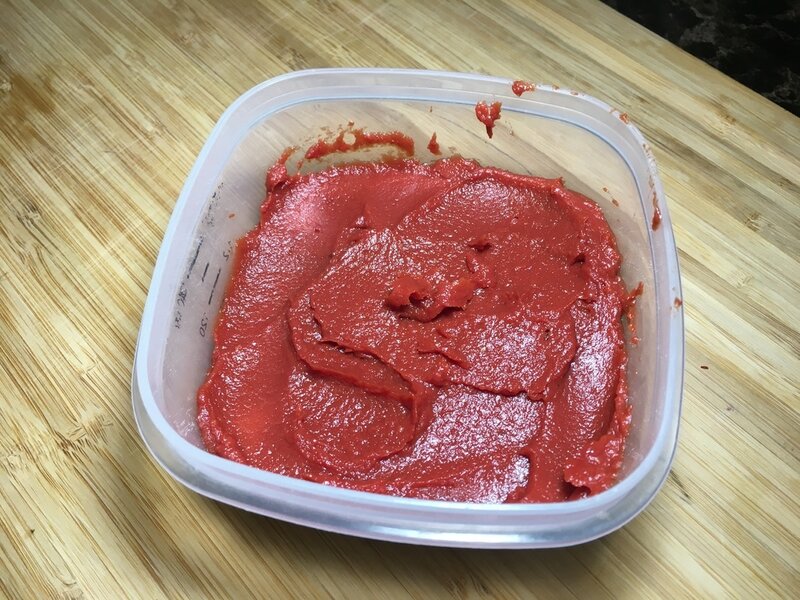 Tomato Paste is a key ingredient to several Haitian dishes. It's a major component to various sauces and sometimes used to add color to rice. 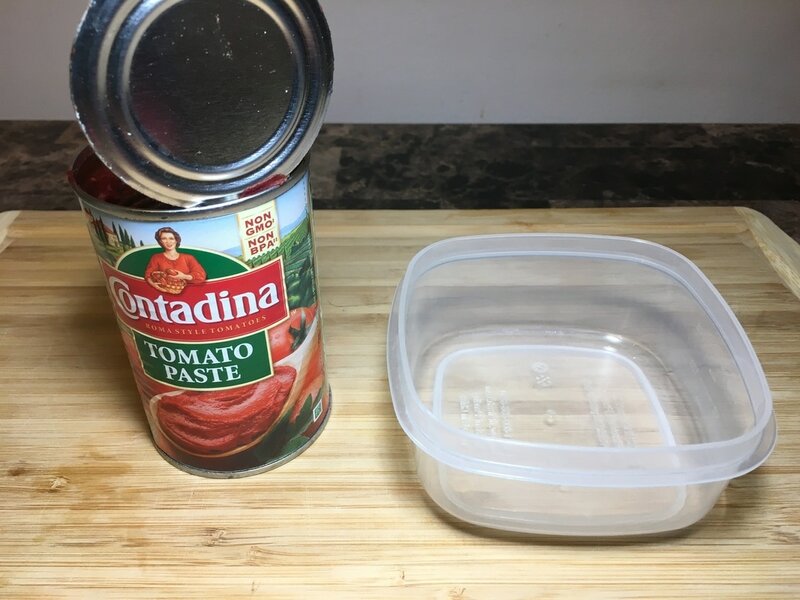 Of course this is just personal preference but Contadina Tomato Paste is the best. When making sauces, I can notice a distinctive difference in the quality and consistency of the sauce. ​In some of my posted recipes, I used Hunt's Recipe Ready pouches for the sake of convenience. They were already measured out to be 2 tbsps. and it was less mess to deal with. Although it made things easier, certain dishes weren't coming out the way I was expecting them too, such as "sos". After being sauteed, it left grainy bits in the liquid whereas Contadina would always turn out smooth. The other convenience of the pouch was the fact that I didn't have to deal with the number one issue of canned tomato paste; easy spoilage. When you purchase a can of tomato paste, more frequent than not, the entire can isn't utilized at once. You put the can in the fridge to save the rest and when you come back to it a few days later, it starts growing mold. So what do you do? You throw the can out and unfortunately, wasted tomato paste and a few dollars. But wait! 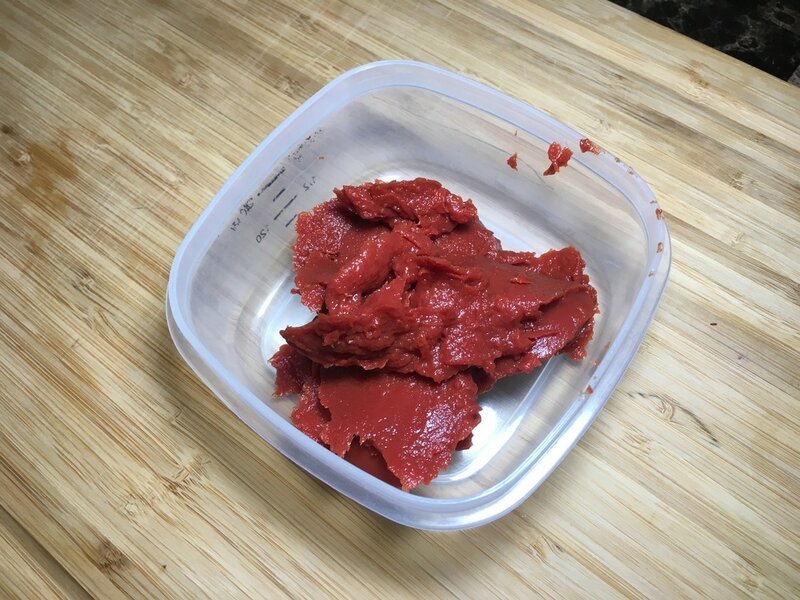 There's a way to save that tomato paste and make it last longer! I grew up watching my mother and other family members do this and I thought it would be a neat "life hack" to share with you. Many of you may already know this and many of you may not. Either way, I hope it saves someone from wasting a perfectly good opened can of tomato paste. 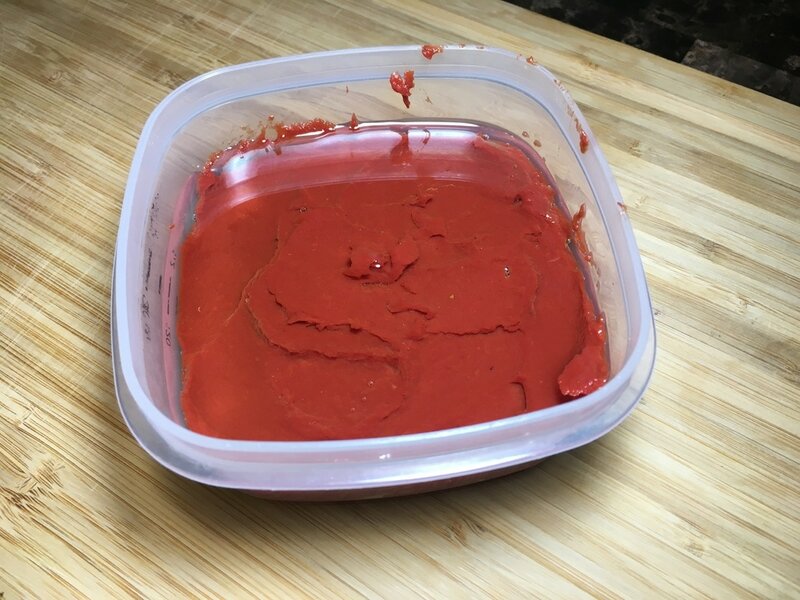 After opening up a can of tomato paste, spoon out any remaining unused portions and transfer it to a container that has a good well-fitting lid. Those that are airtight is best. Spread it in the container so that it is leveled low and spread evenly. Next, pour a layer of vegetable oil to cover the tomato paste. Place the lid on the container, store it in the fridge and you're good to go! Yes, it's that simple. This helps the tomato paste to last longer for you to use whenever needed. The layer of oil helps block the air that induces spoilage. You'll notice that if there are areas that have not been covered by the oil, the exposed area will spoil. Did you find this post helpful? What brand of tomato paste do you like using?